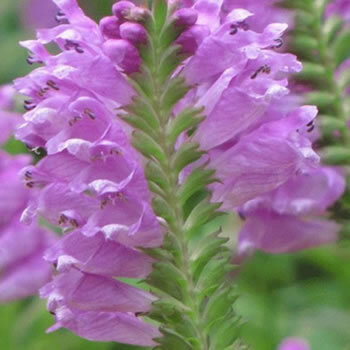 Herbaceous perennial with toothed oval leaves and spikes of rose-pink tubular flowers in summer, often continuing on into autumn. Flowers open from the base of the spike upwards. Ideal conditions for this plant are sun or partial shade and a moist, well drained soil.